The Sports Cable Bubble is a value balloon that keeps going up, launched and inflated by America's collective cable bill -- a perfectly legal shell game. In the annals of One of These Things is Not Like the Other, Solomon's rant ranked somewhere between Rep. Mike Kelley (R-PA) likening a health care contraception mandate to Pearl Harbor/September 11 and every Internet message board invocation of Hitler ever. Unsurprisingly, Solomon later apologized for his histrionic choice of words. His metaphor was indefensible. Inexplicable, too. As for the bitter sense of disappointment behind it? Anything but. Had the court ruled for his company, Comcast would have been forced to carry the Tennis Channel on basic cable instead of a separate sports tier -- a move that would have netted the network millions of extra dollars, largely extracted from the pockets of viewers who wouldn't watch Wimbledon if Maria Sharapova was playing in a beach volleyball uniform and Rafael Nadal had to apply topspin to a "Cyberball"-style exploding ball. In other words, the Tennis Channel would have joined the Sports Cable Bubble. What is the Sports Cable Bubble? It's the unseen economic engine that increasingly powers the sports and television industries alike, all-important and omnipresent, a little like the Force in "Star Wars," only with money instead of Jedi Mind Tricks. It's a value balloon that keeps going up, up, up, launched and inflated by America's collective cable and satellite bill, a perfectly legal shell game built on high-stakes deal-making, entrenched corporate interests and overlapping near-monopolies. It's the reason why investors paid $2 billion for the Los Angeles Dodgers; why schools have taken to conference realignment like swingers at a 1970s key party; why ESPN is the golden goose of the Disney empire; why Fox Sports 2 is basically a foregone conclusion even before Fox Sports 1 launches; why Solomon was so ridiculously ticked; and why so much of what happens in sports happens. Next to college sports restraint of trade amateurism, this might be the world's greatest business model -- in what other field do millions of people who neither use nor care about a product still have to pay for it as if they were, you know, customers? -- and judging by the great big garbage bags of cash being tossed around, no one involved expects the Sports Cable Bubble to pop anytime soon. Which, of course, is exactly what makes it a bubble. Let's try an exercise. Turn on your television. Grab a notepad. Make a list of every sports channel you receive. ESPN. NFL Network. Big Ten Network. MSG. All of 'em. If you get TNT and TBS, add them, too - both carry extensive, expensive sports programming. Now look right. You'll find a list of major professional and college sports leagues and conferences next to boxes containing dollar amounts. The amounts are roughly equivalent to the sum of money you're paying those leagues and conferences yearly via your cable or satellite bill -- amounts calculated by dividing the dollar amount of each major sports rights deal held by a particular network (like ESPN's $1.1 billion-a-year NFL contract) by that network's number of subscribers (in ESPN's case, 100 million). Take ESPN. How can the network afford to spend hundreds of millions of dollars on college and pro basketball rights, and more than a billion a year for "Monday Night Football?" Simple. ESPN is a cash cow, earning roughly $10 billion annually. And where does that money come from? According to an Atlantic article citing a report from Wunderlich Securities, the network brings in about $3.5 billion from television advertisements, and about $900 million from digital and magazine ads. No surprise there. The rest -- a staggering $6.5 billion, about two-thirds of the company's revenue -- comes from cable and satellite affiliate fees. Here's how it works: About 100 million households that get pay television also get ESPN (and in many cases, some or all of its spinoff networks) as part of their basic cable package. According to SNL Kagan and Barclays Capital estimates cited by the Milwaukee Journal-Sentinel, ESPN charges cable and satellite companies a monthly $5.06 affiliate fee per subscriber. (The spinoffs cost extra: ESPN2, for instance, has a monthly $0.67 affiliate fee.) Do a bit of quick math -- 100 million subscribers x $5.06 affiliate fee x 12 months -- and voila, you've just surpassed a cool $6 billion. Much of that coming from suckers consumers who neither use nor care about your product, a business model that New York Times writer Adam Davison calls "one of the most clever in our modern economy," others call a "sports tax" and the rest of the athletic world is rushing to cash in on. Earlier this year, News Corp announced plans to relaunch the auto racing-focused Speed channel as Fox Sports 1, an all-sports network positioned as a competitor to ESPN. According to the New York Daily News, Speed currently reaches 87 million homes and charges an average monthly affiliate fee of just $0.22; when the network becomes Fox Sports 1 and adds sports like Champions League soccer to its programming mix, that fee reportedly will jump to as much as $1.00. Again, do the math: Over a single year's time, that's a four-fold revenue jump, from roughly $230 million to about $1 billion. Is it any wonder that Fox recently signed rights agreements with the Pac-12 and the reconfigured Big East that total more than $150 million annually? That Time Warner Cable cut a $3 billion deal with the Los Angeles Lakers that will create not one but two regional sports networks, both of which will charge affiliate fees to rival cable and satellite companies? That pro sports franchises across the nation are scrambling to launch team-branded regional sports networks that charge fees of $2.50 or more? That college sports realignment has been fast, furious and seemingly driven by the desire of schools and conferences to start or expand networks of their own? Take the Big Ten, which recently added sports non-powerhouses Rutgers and Maryland. Why? To broaden the conference's geographic sports tax base. The Big Ten Network currently reaches a reported 53 million pay television subscribers and charges a monthly affiliate fee that ranges from $0.15 for subscribers outside its core markets to $0.80 for subscribers inside those markets. As Pete Thamel of Sports Illustrated explains, welcoming Rutgers and Maryland means potentially welcoming an estimated 15 million additional pay television households in the New York, Philadelphia, Baltimore and Washington, D.C., markets, many of which would be considered "core." If the network can get on to basic cable in those same markets, the conference could end up pocketing as much as an additional $200 million annually. Even if far less than 15 million cable and satellite viewers ever bother to watch a Rutgers-Maryland football game. Remember Solomon, the seriously peeved Tennis Channel executive? The network's court loss prevented it from adding nearly 20 million Comcast basic cable customers -- the ones already paying for the Golf Channel and NBC Sports Network -- to its monthly affiliate fee take. No wonder he was unhinged. "He has a fundamentally strong understanding of the business model of cable channels," The Atlantic's Thompson says. "He had a right to be pissed. Because that is how you make money. It was once phrased to me that ESPN's business model is getting 60 percent of the country that doesn't watch ESPN to pay 60 bucks a year to pay for ESPN." When it comes to understanding the economy of sports networks, the second bundle is key. In theory, a company like DirecTV might want to move ESPN2 to an a la carte sports tier, or not carry the Pac-12 Network at all, the better to lower customer costs and increase consumer choice. In reality, however, a provider's hands are often tied. As American Cable Association president Matthew Polka explained to Roll Call, six major media conglomerates -- Comcast/NBCUniversal, Disney, News Corp, Time Warner, Viacom and CBS -- own and control about 90 percent of existing television networks. When they sell those channels to cable and satellite distributors (and negotiate affiliate fees), they bundle their most popular channels with ones that are in significantly less demand. Take 'em or leave 'em. You want ESPN? And the Disney Channel, given that Disney owns ESPN? You'll have to carry ESPNU, too. In essence, bundling allows the media conglomerates to make both television providers and their customers an offer they can't refuse: Pay for sports you may or may not want, or get nothing at all. (In fairness, the converse is also true: even if you only watch Fox Soccer Channel and don't give a damn about "Mad Men," you're still shelling about about $0.40 a month for AMC.) Because sports also command high affiliate fees -- ESPN's $5-plus is the highest in the industry, about 20 times that of the average cable network -- the result is oodles of cash. It's not quite free money. But definitely found money. Money that produces what The Atlantic's Thompson calls "runaway price inflation in sports." The very definition of a bubble. Time Warner signs a $7 billion deal to broadcast Dodgers games. The team's $216 million payroll, second-highest in baseball on Opening Day, suddenly has room to grow. So does the franchise's overall value. "The model that's been created by ESPN is now being replicated by other programmers," Polka told Roll Call. "Meaning the problem is only going to get worse as each one of these companies competes for sports right to carry programming. I see the price of sports skyrocketing with Fox and NBC competitors to ESPN." When Fox scores Pac-12 programming or ESPN helps create the SEC Network, schools get more money. Football coaches and athletic directors get pay raises. Somewhere downstream, cable and satellite bills rise. Sports fans pick up some of the tab, and a whole bunch of non-sports fans cover the rest: thanks to the Dodgers deal, Time Warner is expected to launch a new SportsNet LA channel that will cost an estimated $5 a month. The balloon keeps rising. Because it has to. According to Thompson, sports already account for half of the programming costs of television, while television money accounts for more than half the revenue of many leagues. Television economics are sports economics, he writes, and sports economics are television economics. "All you have to do is look at reported rights fees paid to teams and leagues," says Dan York, DirecTV's chief content officer. "That, in short order, finds its way onto consumers' bills. A big chunk of what you pay for your pay TV subscription ends up in wallets of star atheltes, owner of teams or leagues and conferences." Network executives will tell you that the bundled programming inflating the Sports Cable Bubble is a great value. And it is. It's great for network excutives, great for team owners, great for player agents, great for anyone getting a piece of the pie. Heck, it's great for me -- I already like watching sports, and like it even more now that I know my viewing habits are being subsidized. On the other hand, it's not so great for the millions of pay television subscribers who make that subsidy possible. Thanks to their status as quasi-monopolistic utilities, cable and satellite companies aren't going broke, either. Not with America's collective pay TV bill totaling about $90 billion annually. Everyone profits, Davidson writes, everyone wins. Bundling is good business, and live sports programming -- the only DVR-proof appointment television left, beloved by a bigger niche of devoted fans than anything else on cable (yes, that includes HBO's "Girls," TV's reigning Internet Words Written-to-Actual Viewers Watching champion) -- is the crown jewel of the bundle. Except when it isn't. In a way, both the bundle and sports are becoming victims of their own financial success. According to the Federal Communications Commission, the average monthly price of basic cable increased from $22 in 1995 to $54 in 2010, an annual uptick of 6.1 percent. Meanwhile, Bloomberg Businessweek reports that the average cable bill -- you know, what customers are actually paying -- was about $128 in 2011, up from $48 in 2001. Sports accounts for much of the increase. The average cost of a regional sports network has has risen 52 percent over the past five years. ESPN's monthly affiliate fee is widely expected to rise from $5-plus to more than $7 by the end of the decade. (By contrast, cable's most-watched network, USA, reportedly charges $0.68.) A report released last year by the NPD Group estimated that the average cable bill could reach $200 by 2020, and a separate report from the Nomura Equity Research pinned some of the blame on carriage fees that are expected to rise around eight percent annually. According to Bloomberg Businessweek, fees for televised sports are rising almost twice as fast as cable and satellite subscriber rates, putting providers in a bind: Raise prices to compensate and risk losing customers, or keep prices steady and face shrinking profits. Unsurprisingly, executives are beginning to grumble. At a 2011 conference, the Wall Street Journal reported, the head of the Starz Network's parent company described ESPN as a "tax on every American household," while Viacom chief Philippe Dauman pointed out that ESPN alone was "double the cost of all our networks combined." Last year, DirecTV reportedly added a $3 monthly fee to the bills of new customers in about 20 percent of markets containing multiple regional sports networks, including Los Angeles, Chicago and Denver -- after which company CEO Mike White reportedly told Wall Street analysts that "the whole sports model is broken." In February, Cablevision filed a $1 billion antitrust suit against Viacom over forced bundling during programming and affiliate fee negotiations; meanwhile, DirecTV chief financial officer Pat Doyle recently told Bloomberg that the television industry needed to "get the people that want sports to pay for sports." Sen. John McCain (R-AZ) concurs. In May, he introduced a bill that would encourage both programmers and distributors to unbundle cable channels and offer a la carte programming. Want Bravo but not Fox Sports 1? CNN but not ESPN? Knock yourself out. Speaking to the Senate Subcommittee on Communications, Technology and the Internet, McCain lamented the high cost of sports programming, declared that pay television consumers were at a "tipping point" and compared the industry's current business model to forcing customers to pay for the entire menu at a restaurant in order to get what they want to eat. According to the Arizona Republic, most television business experts doubt McCain's proposed legislation will go anywhere. Bundling still makes lots of money. Said money means media conglomerates have powerful Washington lobbies. Moreover, Congress traditionally is loathe to regulate markets characterized by fast-moving technological change. Even McCain admits the bill is a long shot. Still, the sentiment behind it isn't going away. At the Senate hearing, DirecTV executive Mike Palkovic testified that his company's subscribers complain about "high prices" and "lack of choice" more than anything else. And increasingly, dissatisfied viewers -- the same ones inflating the Sports Cable Bubble -- are choosing to save money by "cord-cutting," dropping pay TV in favor of over-the-air broadcast signals and less-costly online video services like Netflix and Hulu. Citing a report from the Toronto-based Convergence Consulting Group, AdAge reported that just over one million American pay TV customers canceled service last year, about one percent of the industry's entire customer base. According to Convergence, a total of 3.74 million subscribers have cut the cord since 2008. A million more are expected to do so by the end of this year. For the television industry, the numbers aren't alarming. Not yet. But the trend is ominous. Rising programming costs coupled with fewer subscribers means higher prices. Which means more cord-cutting. Which means higher prices still. Rinse and repeat. "It's a little bite here and there," Wall Street analyst Harold Vogel told the Hollywood Reporter. "Nobody gets upset about losing a couple thousand subscribers a quarter because it's not really meaningful. The technology changeover is gradual, but the psychology of the users is changing. It's imperceptible losses until you turn around five or seven years later and its, 'Wow! What happened to the business?' Cord cutting is like termites." Last month, four Los Angeles-area residents filed a class action lawsuit against Time Warner Cable, arguing that the company's bundling of sports content on basic cable is an "unfair method of competition" that requires "a very large segment of the consumer public" that is "not sufficiently interested in Dodgers games to pay $50 to $60 a year." "The prices that regional sports networks, teams, leagues and conferences are requesting are growing a rate that is unsustainable for consumers and distributors," DirecTV's White says. "I think the consumer lawsuit against Time Warner for the [Lakers and Dodgers] rights deals they've recently cut is an indication that consumers have finally figured out what is being done -- finally realized the impact that those sports rights deals are having on their own personal wallets." Somewhere in Brooklyn is a warehouse. 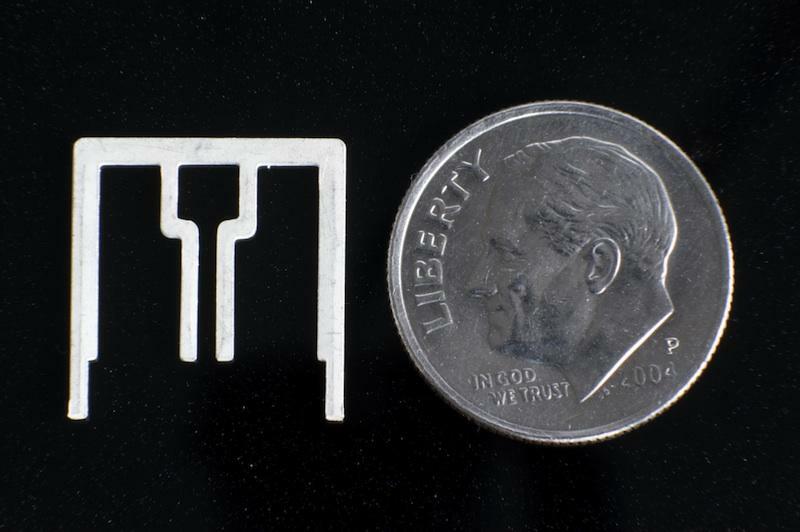 Inside are thousands of tiny digital television antennas, about the size of a dime. They resemble salad forks. The antennas belong to Aereo, a tech start-up backed by longtime media mogul Barry Diller, and are vital to the year-old company's business plan: selling access to broadcast television over the web. For $8 a month, customers in New York and a handful of other cities can stream network television from said antennas to their computers, tablets, smartphones and web-connected televisions, and also record and watch 20 hours of programming through Aereo's DVR service. How does this affect the Sports Cable Bubble? Simple. Aereo encourages both cord-cutting and de-bundling. Currently, the broadcast networks -- Fox, CBS, NBC, ABC, CW and Univision -- and their local affiliate stations charge cable and satellite companies hefty retransmission fees, estimated to be worth a collective $3.5 billion by 2015. And as is the case with cable network affiliate fees, lots of that money ends up paying for sports rights: NBC with "Sunday Night Football," Notre Dame football and the Olympics; CBS with college sports and the AFC; Fox with the NFC and NASCAR. Because Aereo transmits free, over-the-air signals though antennas its customers rent, it doesn't have to pay retransmission fees. Nor does it have to pass those costs along to its customers. Suddenly, a $100-a-month cable bill doesn't look so appealing to a potential cord-cutter who already has Netflix. Especially if they love "CSI" and "The Voice" -- and perhaps the occasional NFL game -- but never watch ESPN. By itself, Aereo may not be an existential threat to the Sports Cable Bubble. (From the NBA playoffs to the NBAA men's basketball tournament, a lot of high-value sports programming already has moved from broadcast to cable television.) The company may not survive a series of court challenges. Its service may prove interesting rather than essential. Nevertheless, it represents the potential of disruptive technology to upend the current order. Once upon a time, the music industry was built on a programming bundle. The album. Along came Napster. Suddenly, you could steal download the songs you wanted. Without the instrumental track padding and obligatory "I can rock, but I'm also a songwriter" balladeering filler. Next came iTunes. Now you could pay for the songs you liked -- and just as importantly, not pay for the songs you didn't. The Sports Cable Bubble, and the bundle-based television economy that created it, won't disappear overnight. Or even in five years. For networks, the numbers for direct, pay-only-for-what-you-eat online distribution don't add up. On the other hand, the cable bundle seems to rest on the wrong side of history. In music and video alike, the trend is toward programming when you want it, how you want it, streamed or downloaded to a device of your choice. And that includes live sports: ESPN's excellent ESPN3 currently requires users to have a verified cable or satellite subscription, but there's no reason the company couldn't turn the Web service into a for-pay app in the future. Care to stream the college football playoffs? Then pay ESPN directly, the same way you pay Apple for a new single. Question is, how much would the company have to charge? "The Internet is an incredible un-bundler of stuff," Thompson says. "It unbundled the newspapers. It unbundled music. Eventually it will probably unbundle TV, too. But there's an aversion to breaking away. "The current model of put everything in one basket and selling the basket to as many people as possible is really good for everyone involved expect maybe the consumer. That deal gets worse and worse every year. But it's still good." Sooner or later, change will come. Maybe cable and satellite companies will move sports channels -- all of 'em -- on to an optional sports tier, with ESPN becoming the rough equivalent of HBO. (Verizon is experimenting with a "Select HD" 140-channel bundle that dumps sports and costs $15 less per month than its standard package; the company also has proposed paying networks for their content based on viewership, which would likely rebalance the roughly $4 affiliate fee gap between ESPN and USA, given that the latter averages slightly more viewers.) Maybe a Cablevision victory in its antitrust case against Viacom will speed up that process. Maybe Apple, Google or a Silicon Valley upstart will crack the pay TV code and find a way to blow up the entire industry; maybe they'll simple outbid Fox and ESPN for future sports rights, then make affiliate fees a thing of the past by distributing programming online and a la carte. Whatever the case, sports fans finally will have to pay market rates. The Sports Cable Bubble will pop. It has to. Just do the math. Fifty-seven million cable and satellite subscribers who don't care about Dwight Howard's decision or Yasiel Puig as the baseball reincarnation of Bo Jackson currently pay at least $100 per person into television sports kitty, each and every year. Someday they won't have to. According to Dave Warner, the creator of the What You Pay for Sports website, losing just 10 million subscribers would cost ESPN $732 million in found-money affiliate fees. Now quadruple that number. Who makes up the difference? In a pay-only-for-what-you-actually-watch world, is Kentucky's basketball coach John Calipari worth $5.2 million annually when his entire sport's signature postseason tournament averages fewer viewers than CBS's "Under the Dome?" Does the Big Ten Network even exist? "So few people are watching these sports channels and yet they are still paying for them," Warner says. "We pay to have ESPN and Fox pay the Big 12 $200 million per year, which pays Oklahoma $20 million a year, which pays [football coach] Bob Stoops $4 million a year, and then he gives a lecture about how they're not the only ones going hungry on a Sunday night. There's something so broken about that. "Right now, the sports networks are simply collecting a subsidy. The question is, are the people who want and love sports willing to pay double what they are now? Sports fans are willing to pay. I don't know how much. If someone can disrupt the cable model, sports could find itself with a lot less money to spend." Back to Aereo. Ultimately, the company wants to add paid channels. Why? Company executive Chris McKay told freelance writer Allison Kade that "the goal is to allow our members to decide what they want to watch, and what they want to pay for." No bundling. Just a la carte. Funny thing about those dime-sized antennas. Turn them upside-down, and they look like four-pronged needles.